Gardium Security, renowned for the excellence of its personnel, is looking for talented individuals seeking a position in private security. With our core values of integrity, judgement and loyalty, Gardium Security is a supportive employer that offers its employees a stimulating work environment based on collaborative relationships. We prone an accessible management style and offer all our employees opportunities for advancement. People at the centre of our activities. This is why we take our employees’ well-being to heart. Please see the positions we are offering below, and learn more about our philosophy. We are committed to establishing trusting relationships with our employees; we are sensitive to their needs and take concrete actions on a daily basis to ensure that they are stimulated and motivated. As well, to ensure that our team maintains its level of excellence, training and coaching are part of our priorities. Unique in the industry, our human resource teams also offers a referral program, that rewards employees who refer successful candidates. Certain conditions apply. You would like to join our ranks, but do not have the necessary qualifications? Take security training with one of our partners recognized by the Bureau de la Sécurité privée, and you will obtain the essential skills for the profession. Once completed, the training allows you to obtain a security licence from the Bureau de la Sécurité privée needed to become a security guard. Our partners also offer courses that lead to an AEP (attestation d’études professionnelles). The course is offered at the Centre de formation professionnelle Léonard de Vinci. The Commission scolaire Marguerite Bourgeoys (CSMB) offers two training programs recognized by le Bureau de la Sécurité privée to obtain a private security guard permit. The basic program is 70 hours, and the program leading to an AEP (attestation d’études professionnelle) is 390 hours. The course is offered at the Centre de formation professionnelle de Québec. 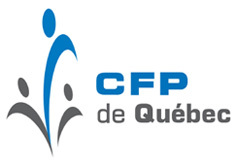 Overseen by the Commission scolaire de la Capitale, the Centre de formation professionnelle de Québec offers two training programs recognized by the Bureau de la sécurité privée to obtain a private security guard permit. The basic program is 70 hours, and the program leading to an attestation de formation issued by the Commission scolaire de la Capitale is 405 hours. You can also obtain a position in security by completing the training in the comfort of your own home. Contact us for more information. Our human resources team is accessible, dynamic and maintains close relationships with our personnel. The team simplifies the integration of new agents and provides them with ongoing support throughout their careers. 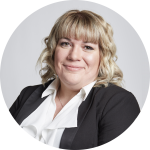 In order to provide a work environment conducive to everyone’s well-being, the team relies on advanced standards and procedures in occupation health and safety, and takes labour relations seriously. Our goal is to provide a work environment that encourages professional fulfillment for all of our personnel. Do you have any questions, or are you interested in a job in private security? Go to our portal dedicated to employment at Gardium by clicking here.